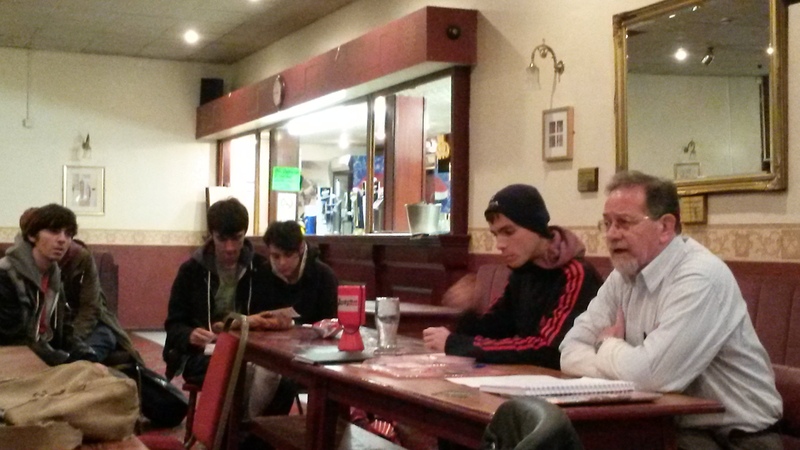 Coventry Socialist Party were proud to welcome Paulo Eduardo Gomes, an elected councillor for PSOL (a left wing party in Brazil) to a meeting in the city last week. Paulo has been undertaking a tour of Britain and Ireland speaking at meetings organised by the Socialist Party. He gave a wide ranging and fascinating introduction, explaining the political situation in Brazil and the situation facing the masses in this vast country. He explained the degeneration of the PT (Workers’ Party) and about some of the work he does as an elected representative. The Socialist Party are internationalists, we believe the crisis of capitalism is a global issue and as such we organise on an international basis with our sister parties in the Committee for a Workers’ International. The CWI has groups and parties in nearly 50 countries around the world. On that basis it we hope to learn from socialists fighting capitalism in other countries and we certainly learnt much from Paulo. You can see the website of the CWI by clicking here.